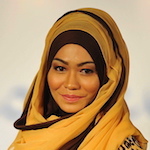 In Excel, Pivot table Calculated Fields can be added as new fields in a Pivot table. These contain values based on calculations performed on data from Pivot table field(s). Calculated Fields do not contain any data themselves, but these fields derive data based on formula calculations on Pivot table field(s). 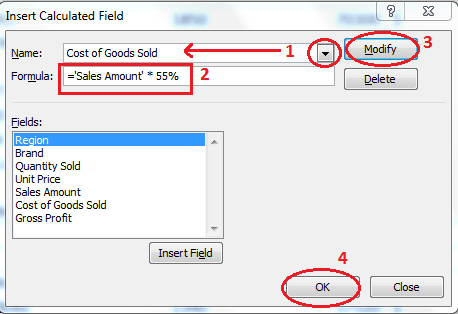 Calculated Fields use all the data of certain Pivot Table’s Field(s) and execute the calculation based on the supplied formula. Calculated Fields can add/ subtract/multiply/divide the values of already present data fields. 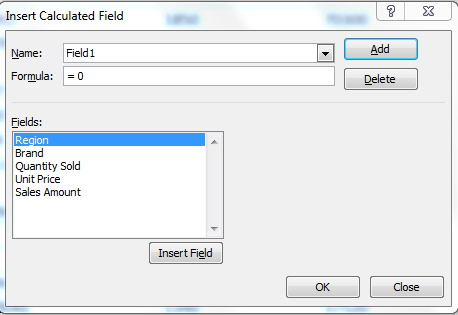 In this article, you will learn how to create, modify and delete a Calculated Field in a Pivot table. 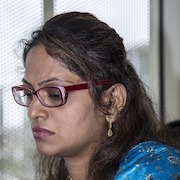 Let’s assume you are working in a company who sells different brands of cigarettes in different regions. 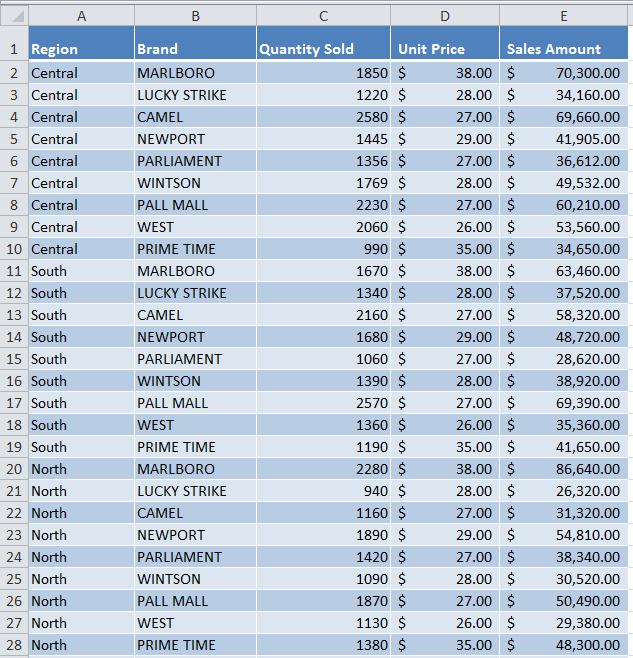 You have a dataset of Sales that contains data fields of Region, Brand, Quantity Sold, Unit Price and Sales Amount. 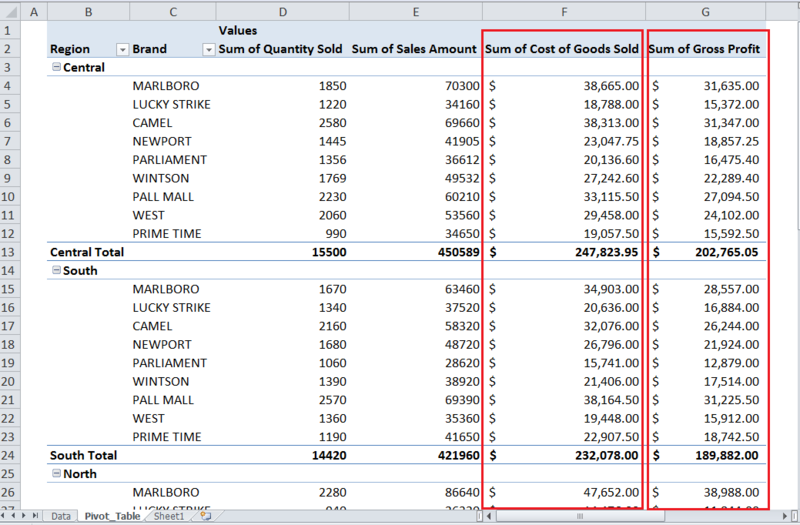 Using a Pivot table, you can easily summarize sales data of region and brand fields by quantity sold and sales amount by placing Region and Brand fields in Row area, and Quantity Sold and Sales Amount fields in Values area as shown below. 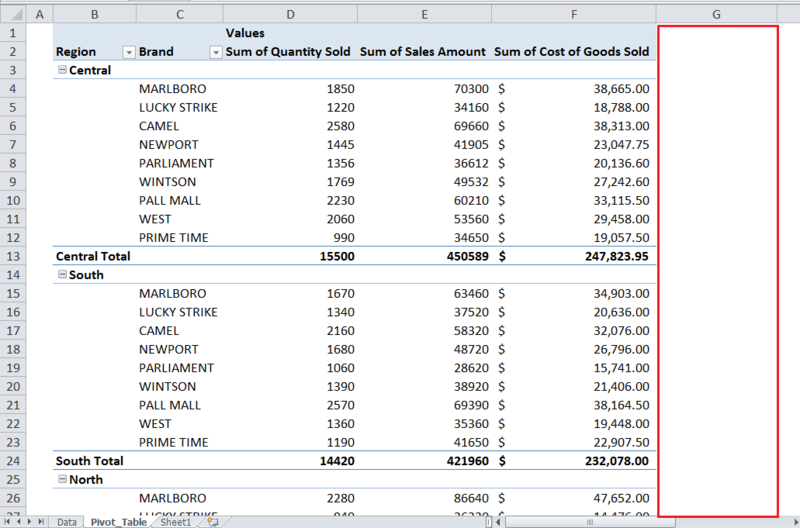 Now you want to calculate and summarize Cost of Goods Sold and Gross Profit in a Pivot table. In this example, you will learn how to create/add these new Calculated Fields by using the data of other fields in a Pivot table based on a formula. 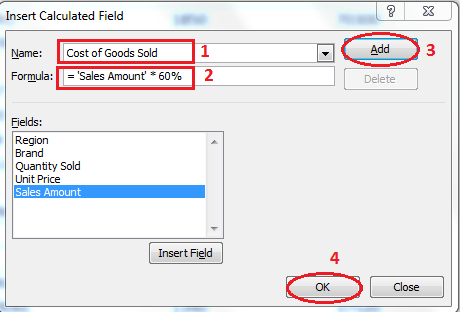 You can calculate values of Cost of Goods Sold by multiplying values of Sales Amount field by a constant of 60%. You can calculate the values of Gross Profit field by subtracting the values of Cost of Goods Sold field from values of Sales Amount field. Now you will learn how to create these Calculated Fields one by one by following these steps. 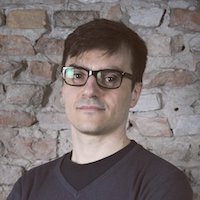 To insert a Calculated Field, execute the following steps. On Options or Analyze tab, in the Calculations group, click Fields, Items & Sets and click Calculated Field. Now, by following the above steps, you will learn to create your desired two Calculated Fields as discussed above. Calculated Field is created automatically and added to Pivot table Fields list’s Values area, and resulting values are summarized by SUM. Now suppose you want to modify the Cost of Goods Sold calculated field by editing the percentage in formula from 60% to 55%. 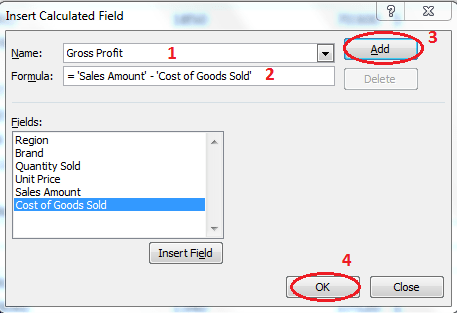 By following the above steps, you can modify this existing Calculated Field, and its values will be updated automatically. This change will show the impact on calculations of other Calculated Fields, where this Calculated Field is used, such as in Gross Profit. 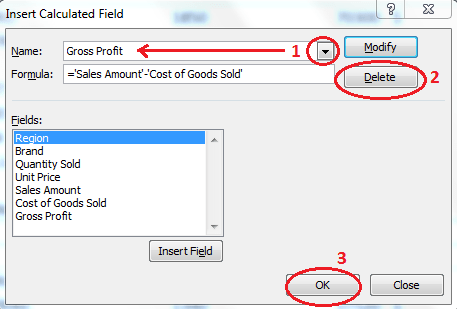 Suppose you want to delete Gross Profit Calculated Field from Pivot table, so you can do it by following the above steps, as shown below. How can I sort a pivot table in descending order based on a Calculated Field? 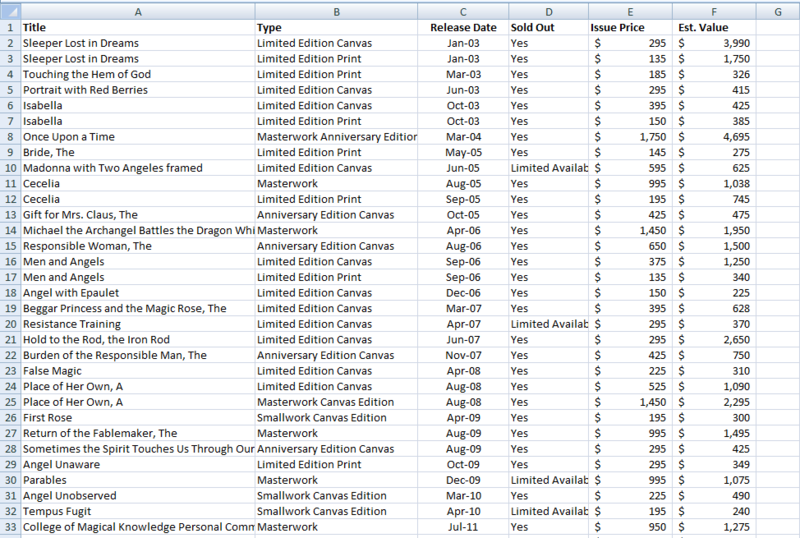 I need to make a calculated field in a pivot excel table comparing the same field for two different sales people. I need help creating a calculated field in my pivot table using data from the pivot table.